The word Ayurveda is popping up everywhere. On a daily basis I get asked. 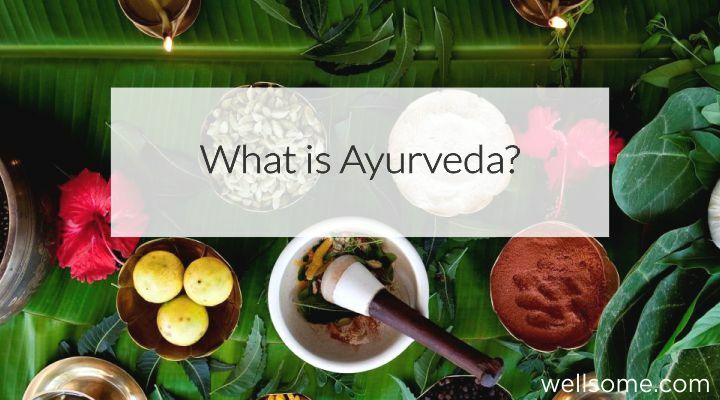 “What the heck is Ayurveda?” Have you noticed it too? It’s really got people asking more about this ayi-veda-thingy. Fast forward a few years and Ayurveda has become very close to my heart. It’s something that I’m more and more drawn to and beyond excited even more so now that I’m becoming a certified Ayurveda Coach at one of the most amazing schools. For some time now I’ve been feeling that these ancient ways of living, health and achieving balanced wellbeing have been forgotten. My feelings around this started around 5 years ago where I was really drawn to the ancient teachings and saw my first Indian Doctor which ignited my studies into Ancient Health or as I describe sometimes as Ancestral Health. From there I began immersing myself into books on Ayurveda and the funny thing was that it all just clicked, so much of what I’d already learnt in Ancestral Health, channelled energetically/spiritually and experienced myself hands on seemed all so connected and you know what. What is this whole Ayurveda thing, where does it come from, what does it mean – “tell me more” is what I hear ya say, let’s get into it. Ayurveda is the oldest eastern medicines known to man, which originates from sanskrit text. The way I like to describe it nice and simply is, Ayurveda is like Traditional Indian Medicine. While it’s not technically called that, people can always comprehend TCM, Traditional Chinese Medicine so sharing Ayurveda as traditional Indian medicine just makes sense. Before modern medicine provide us with scientific evidence for health and the mind-body connection, Ayurveda was developed and used in India. Still today it continues to be one of the world’s most sophisticated and powerful mind-body health systems. Ayurveda is based on the understanding of the laws of nature and how these laws relates and integrate with us as humans. Ayurveda ultimately comes down to looking at people individually, as it’s known that no two people are the same (even if they are identical twins) and therefore each person is born with their own individual blueprint. This individual blueprint is deciphered by a persons current dosha’s, their elements and their feelings. Yep we’re all fricken uniquely different. There is no one sized fits all anything when it comes to approaching health and achieving optimal balance. As a complete system Ayurveda looks well beyond just the symptoms or physical ailments of disease and rather a whole body-mind approach. aka it’s all about the mind – body connection incase you missed that part. It all comes down to how can we come home to living in perfect balance, the perfect balance within our own individual blueprint. So who’s interested in learning more about Ayurveda and better yet, using Ayurveda to create balance and harmony in your life and body? Join our online Well-Community on Facebook and Instagram for more.